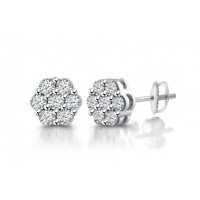 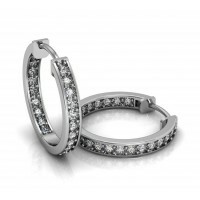 Our striking ladies diamond earrings collection features a wide array of different ladies diamond earrings designs, including diamond stud earrings, diamond cluster earrings, huggie earrings. 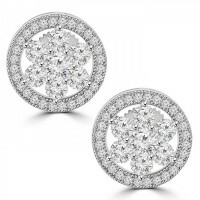 Classic, stylish, and an essential part of a complete wardrobe, our ladies earrings are made from solid 14 kt or 18 kt yellow gold pink gold or white gold and decorated with genuine white and fancy color diamonds. 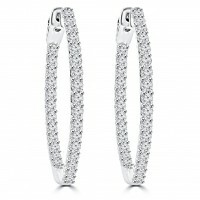 Hoop earrings are a classy and versatile choice of beauty for a sophisticated woman. 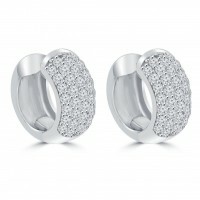 With a touch of.. 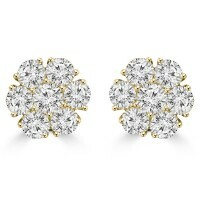 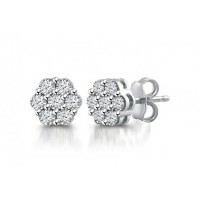 These dazzling Round Diamond Cluster Earrings in 14K Gold weigh approximately 6 grams and showcase 1.. These dazzling Round Diamond Cluster Earrings in 14K Yellow Gold weigh approximately 6 grams and sho..
Be sure to give this stunning gift early so your loved one can wear it out on a romantic Valentin..